Ideal trek for long weekends, Dayara Bugyal can be a perfect start for beginners. This region receives heavy snowfall during winters. 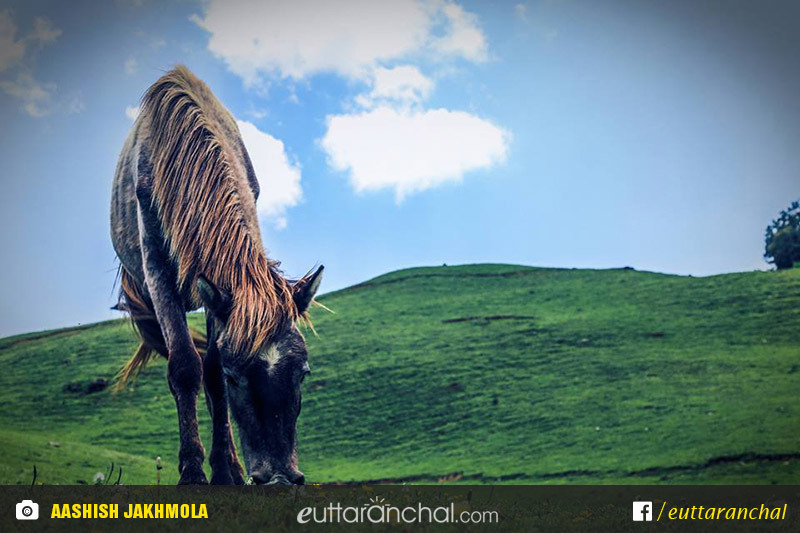 The trek goes through open land and dense forest at different places ending up at the vast expanse of lush green meadow. Most of the trekkers start their trek from Barsu village and they trek down via Raithal to see the scenic beauty of both the routes. Just imagine yourself at an elevation of 3048 mts and you are sitting in a beautiful meadow gazing upon the amazing Himalayan peaks with friends by your side sipping tea. The chilliness of the place enhancing the aroma and taste of the tea with beautiful view of forests in front of you. Now convert this imagination into reality by going on a trek to Dayara Bugyal. Dayara Bugyal in Winters: Skiers also visit Dayara Bugyal in winters as the region receives heavy snowfall during winters. The best season to visit Dayara Bugyal is from May to November but tourists visit this place during winters as well, mainly because it receives snowfall. Dayara Bugyal is popular with the travellers for its vast expanse of lush green meadow. 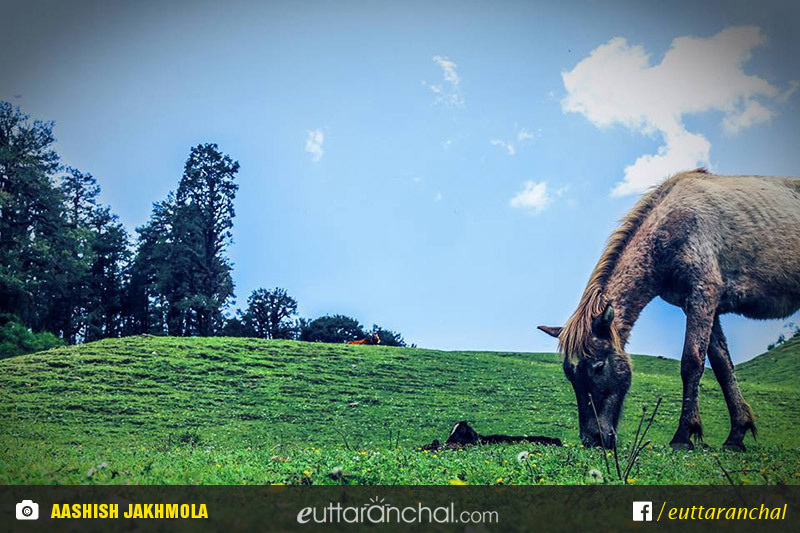 The other popular scenic spot that you can visit while traveling to Dayara Bugyal is Barnala Tal situated around Oak trees. You can make a road trip to Harsil and Gangotri Temple as well while traveling to Dayara Bugyal. Trekking: Dayara Bugyal trek is perfect choice for beginners as the trek route is easy to traverse as compared to other difficult treks. With verdant valleys and sparking streams and vivid flora and fauna that one encounters, it is no surprise that Dayara Bugyal is one of the most beautiful treks in Uttarakhand. Village Tourism: Barsu village is the last village which one encounters before starting their trek to Dayara Bugyal. It is also considered as the base camp of Dayara Bugyal. One can walk around the village and learn about their way of life, customs and festivals enroute to Bedni Bugyal. Photography: The whole route of Dayara Bugyal is worth clicking with your camera as the whole route is laden with beautiful flowers and shrubs and surrounded with gorgeous valleys. For nature-photographers, Dayara Bugyal offers lot of opportunities to capture nature at its best. Though the trek to Dayara Bugyal is quite an easy but it is still wise to prepare your body for the trek few days before your trek. Running, cycling and swimming – all help improve cardiovascular stamina. It is advisable to have an experienced tour guide to accompany you on your trek. He/she would know the route well and help you valid going off course. At an elevation of 3,000 meters, Dayara Bugyal offers unparallel view of the snow-clad Himalayan mountain range. Being a trekking destination, there are no hotels or guesthouses available at Dayara Bugyal. Instead, one has to carry tents and sleeping bags with themselves which can be erected at a level ground at Dayara Bugyal. Barsu village is last village before the trek commences. It is also considered as its base camp of this trek. At this height, it is difficult to find any restaurants or a food stall as the region is not frequented by local population. The ration and food items are carried by the trekkers with themselves and the meal is prepared once the camp is set for the night. Local cooks are also available which prepare meal for the trekking party. Apart from that, packaged foods are also a wise choice to carry as it is easily prepared. The 5-6hrs drive passes through Mussoorie Bypass Road offering scenic views. You get to see the massive Tehri Dam Lake while driving towards Chilianisaur. It takes another one and a half hour drive to reach Barsu from Uttarkashi. An early departure from Dehradun means you will probably be able to start trekking from Barsu at around 1pm after lunch. 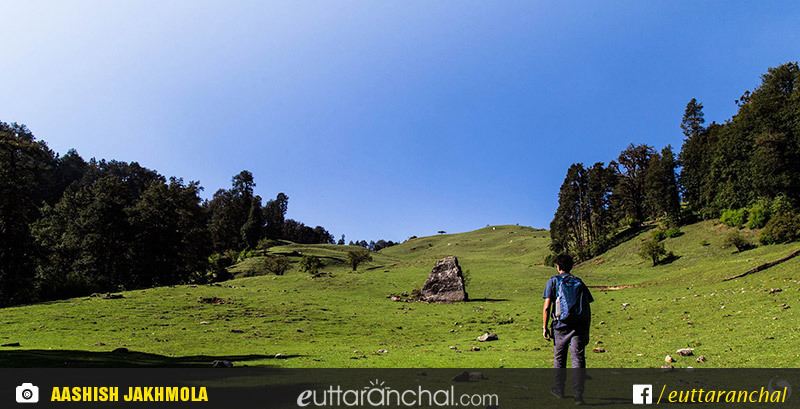 Barsu to Barnala Tal is a short and easy hike of 4kms with gradually ascending altitude. It wonâ€™t take any more than 3 hours to reach Barnala Meadows from Barsu. The trail is well-marked for the first one and a half kilometer. This region is rich in Rhododendron trees. There is a good campsite at Barnala Meadows, couple hundred meters before the Barnala Tal. Dayara Bugyal is situated 5kms from Barnala Tal but the shepherd huts of Dayara Bugyal are located one kilometer before the actual bugyal. Camp near these shepherd huts if you are trekking to Dayara Bugyal in winters because the higher reaches of Dayara Bugyal are covered with 2-3ft of snow. 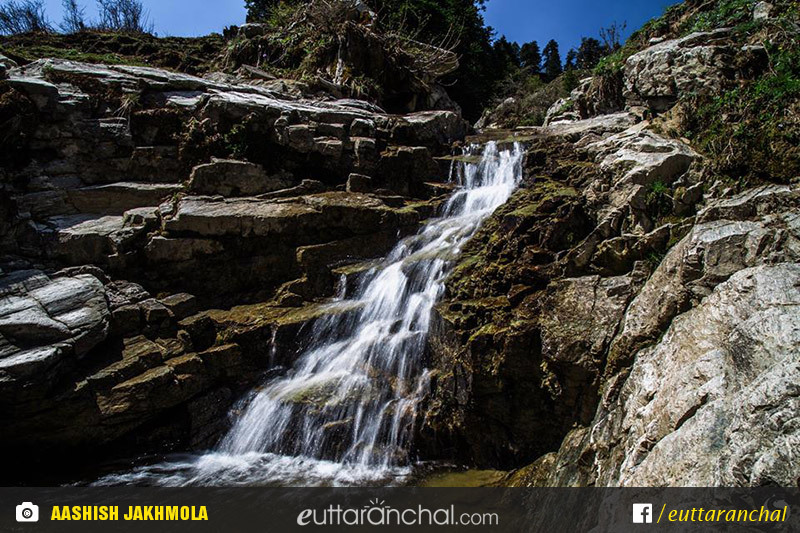 If trekking to Dayara Bugyal during summer season, you can trek further to Dayara Bugyal and camp near a water source. The most beautiful day of this trek. Trek further to explore the lengths and breadths of Dayara Bugyal. Youâ€™ll be surprised to see how the widespread Dayara Bugyal looks different from every angle. Follow a steep climb towards right to reach Bakaria Top (3810mts), highest point in the nearby region. Carry packed lunch while trekking towards Bakaria Top if you want to see the beautiful sunset from Bakaria Top. You absolutely would not want to miss the breathtakingly spectacular sunrise at Dayara Bugyal. Bid goodbye to the imposing Himalayan range and trek back to Barsu via Barnala Tal. You will be able to reach Barsu Village in just 3hrs time. Try to leave early if you want to drive all the way to Dehradun on this day. Note: All trekkers are expected to carry their own backpacks with personal belongings. What is Dayara Bugyal famous for? Dayara Bugyal is famous among tourist as Meadows, Himalayan Views, Trekking. Dayara Bugyal is recommended destination for Corporates, Couples, Family and Kids, Foreigners, Groups, Solo. Dayara Bugyal is popular destination for following activities/ interests - Adventure, Christmas and New Year, Meadows, Skiing, Trekking, Winter Treks.